Marble cake is for wimps! 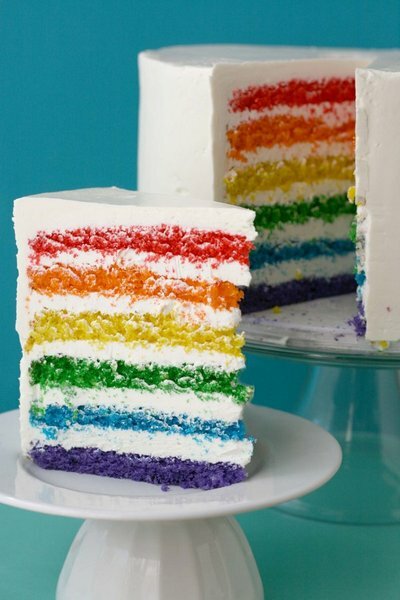 Go the whole nine yards and thrill the guests at your next birthday bash with a Super Epic Rainbow Cake. I’m not one to promote birthday cake competitiveness (especially as my woeful efforts aren’t even close to being in the running) but who doesn’t love a clever catering trick that is big on the ‘wow factor’ but relatively low on effort? Jelly oranges, teacup biscuits and tiny ‘plum puddings’ made from chocolate Royal biscuits are all good examples of party pieces that put mums into overdrive… I only wish I had a January baby so that I could be the first to roll out this Rainbow Cake masterpiece! 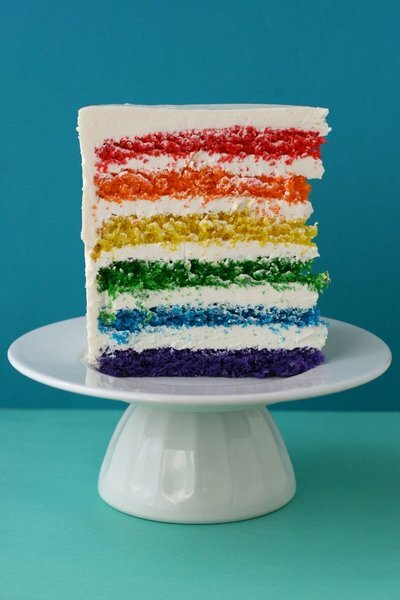 Head to Whisk Kid for the recipe for this amazing rainbow birthday cake. Suffice to say that it contains a large quantity of that very favourite birthday cake ingredient – icing.